This farmyard favourite comes in our hand-painted Classic Pink Sponge or Saddleback. 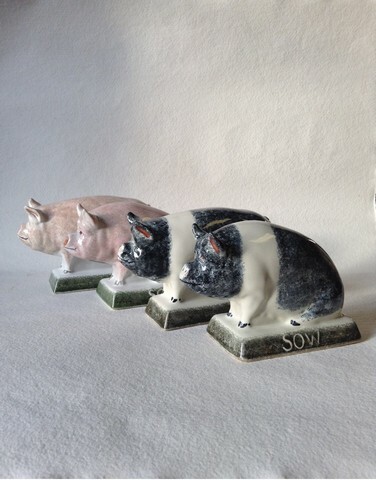 The words “Boar” & “Sow” are both spelt out on their base helping the two figures work as a pair. 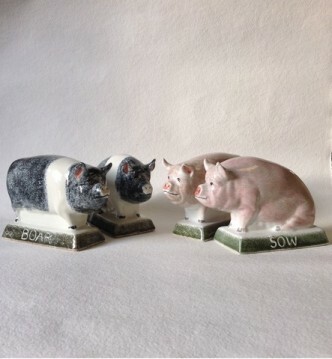 They can also be combined with our Little Pigs, if you’re in the mood for conjuring up a whole family for you mantelpiece. 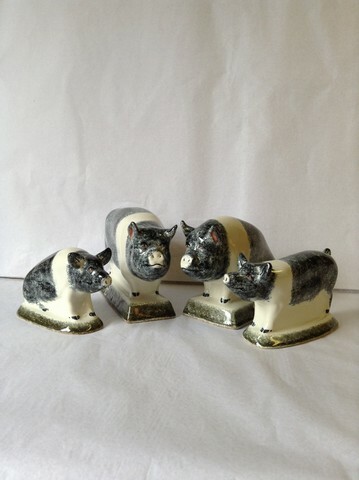 Available separately or together as a pair, this is a classic piece of characterful, rural Rye Pottery.